Expensive gifts aren&apos;t synonymous with well-received gifts. In fact, there are some pretty gaudy things that cost far more than the items in this under $100 list. We&apos;re all about practicality in use and versatility in function when it comes to gifts, and this holiday season there are some pretty cool options. From triple-distilled tequila to high fashion stationery, there&apos;s something under $100 for everyone in your life. We have a youthful fragrance best suited for teens, a cotton robe for grown folks to relax and a blanket for a touch of rugged at home or on a camping trip. If you found our boots list helpful, check out what we found for under $100. This tequila comes from Mexican agave that&apos;s been cooked and distilled three times over. Fermented in oak casks, the liquor is rich in flavor and not for the lightweight drinker. We don&apos;t know a lot of people who wouldn&apos;t want something from Prada this holiday season. The French brand makes a lot of goodies but their sweet Candy Florale fragrance has bold notes of caramel and white musk perfect for a youthful spirit. 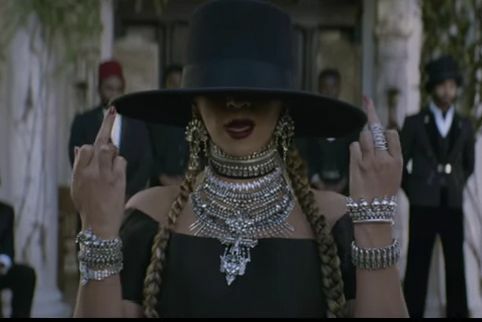 Buy this choker for the Beyoncé stan who recognizes this brand from her Lemonade short film. Intricately designed with jewels on its half-moon base, this choker can be worn with anything to make the look more edgy. You don&apos;t have to go to a luxury hotel to get the same experience in your home. This cotton-bamboo woven robe is lightweight, quick to dry and a lovely gift idea for every hardworking adult you know. For your bohemian salt-of-the-earth friend, Whimsy and Row has a great gift. Their $50 gift box includes loose tea, a ceramic tumbler and a California-made soy candle that comes in two woody scents. Good stationery is clutch for the recent college graduate sending &apos;"Thank You" notes to potential employers. Womenswear designer Christian Siriano has this stylish set of 5-by-7 cards printed in a watercolor design. This down-filled puffer coat from Marc New York will give guaranteed insulation in these bone-chillingly cold months. Lab-certified to keep you warm up to -12 degrees Fahrenheit, it&apos;s also water repellent. Help your bestie be obscenely well-prepared for festival season months ahead of time with this carefree dress from Morrisday The Label. The dress is inspired by the 1970s and has a beautiful lace overlay stitched atop of its pleated skirt. Nothing says great American outdoors like a super-cozy plaid Woolrich blanket. This one, like all their other wool goods, is woven in their Woolrich, Pennsylvania, mill. For a family gathering or intimate holiday party, gift the host a sweet treat. Kosher, nut free and made with pure butter, whole eggs and flavored vanilla, these cookies from Dean & Deluca are shaped like dreidels and printed with a Mediterranean-inspired design. This month, Mic Essentials brings you handpicked deals, reviews, recommendations and gift ideas. For more ideas, see our lists for Men&apos;s Grooming, Shoes, Health Nuts and Feminist. If you buy something through a link on this page, Mic may earn a small commission.